After the Congress was left out of the BSP-SP alliance in Uttar Pradesh, party chief Rahul Gandhi has decided to launch an aggressive campaign in the politically crucial State. 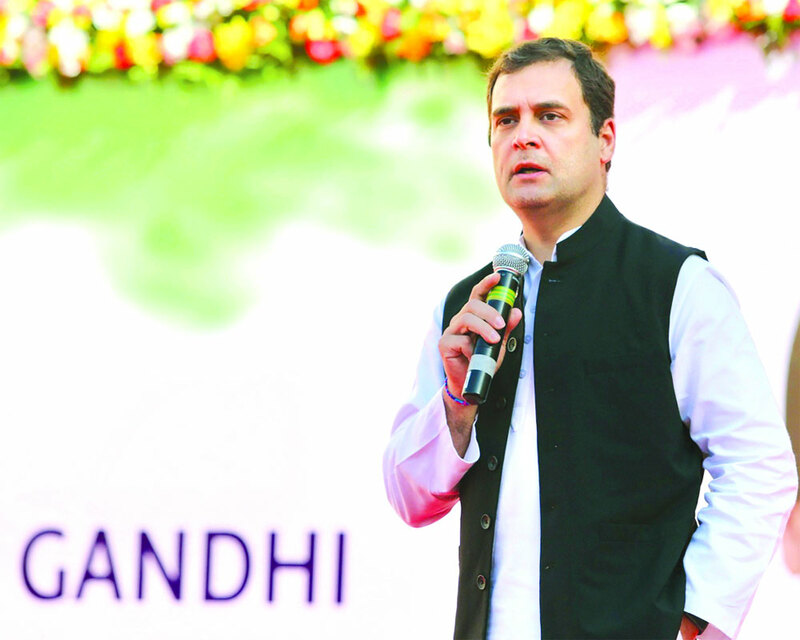 Rahul will hold 13 rallies in 13 zones in Uttar Pradesh in February to sound the bugle for the Lok Sabha campaign to make it a three-cornered fight in the State. AICC sources said in each zone, six Lok Sabha seats will be identified and the Gandhi scion will hold one rally in each zone. Senior Congress leader Ghulam Nabi Azad and the party’s Uttar Pradesh in-charge and State Congress chief Raj Babbar on Monday held meeting with State unit leaders to chalk out the election strategy and finalise the plans. Sources said Rahul’s sister Priyanka Vadra may accompany him and also address four rallies in the first leg of the campaign. There are 80 Lok Sabha seats in the State and in the present Lok Sabha BJP has 72 MPs and Congress only two. Rahul’s first rally will be held in Lucknow in the first week of February. Later, one rally will be held in Varanasi, which is Prime Minister Narendra Modi’s parliamentary constituency. The details for remaining rallies will be decided in due course before the party makes the announcement. Mayawati and Akhilesh Yadav have decided to contest 38 seats each in Uttar Pradesh while alliance has left two seats for the Congress, the traditional Gandhi dynasty bastions of Rae Bareli and Amethi. Terming the decision of the SP and the BSP to keep the Congress out of their pre-poll alliance a ‘mistake’, top UP Congress functionaries believe that the party will definitely spring a surprise in the 2019 general elections. “This time there is no Modi wave as such and a perception has been developed that Rahul is the only saviour,” said a top AICC functionary. Rahul too had stated that SP-BSP have underestimated the Congress’s strength in Uttar Pradesh by keeping the grand old party out of their pre-poll alliance for the general elections. “I could be wrong, but I think Mayawati and Akhilesh may have underestimated the Congress. They haven’t fully appreciated the value of the Congress. Will see what happens now,” Rahul had said in an interview. He said above all it was a political decision and that respects for BSP chief Mayawati and SP chief Akhilesh will ever remain. “But now even the Congress will have to do its work and we will fight with full zeal and vigour. The Congress won’t back down and will fight with all its might,” he had said. Even as Ghulam Nabi Azad announced to go solo, it has also kept the doors of a possible alliance open presuming any secular and like-minded party ready to take on BJP would be welcome in the fold.